Friends of Ned Wolf Park: MYSTERY TULIPS!?! Spring has come with a new patch of tulips that has sprouted unbeknownst to the Friends of Ned Wolf Park Design Group that has planted the gardens since 2007. 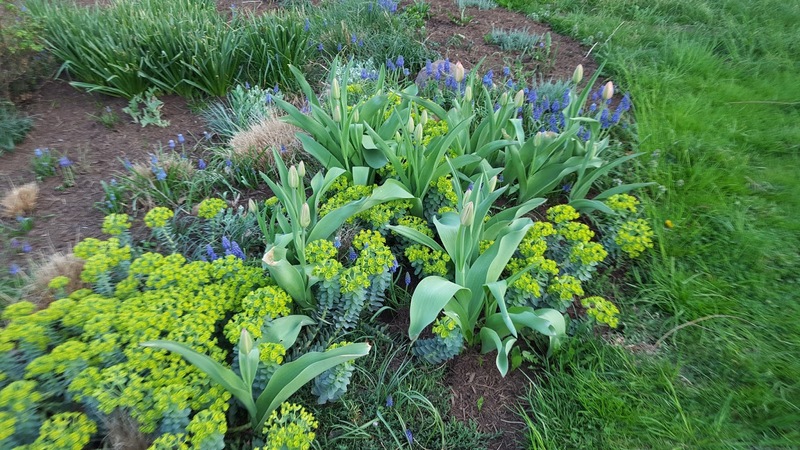 This patch appeared in the island bed in an area where low-growing Sedum and Pennisetum are planted. 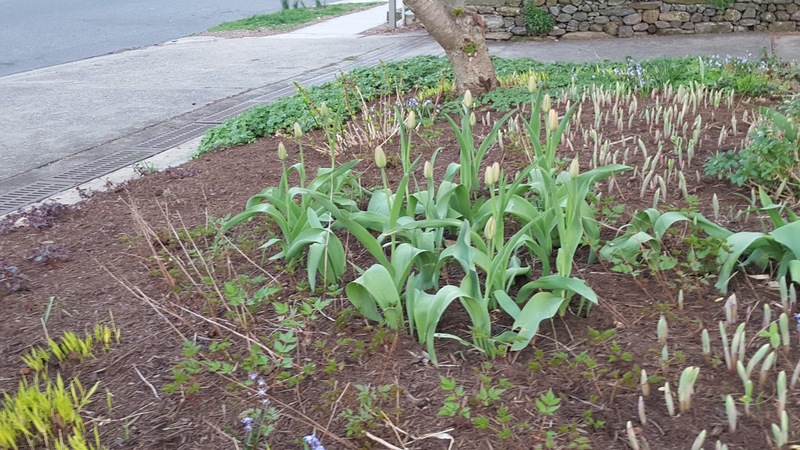 Last year, a group of tulips appeared near McCallum Street, planted amongst the June-blooming Astilbe. Our gardeners are happy to include anyone interested in contributing to the plantings, but we do think it best to work together. Will the real Tulip Fairy please stand up and introduce yourself to the team?